Those within the classic European automobile world seek out cars restored by Hjeltness not only as benchmarks for period correct authenticity but also for collecting. Much of the car world has beauty that is often only skin deep. They never need ask if its one that was restored here. 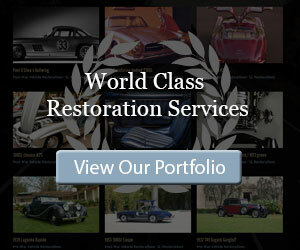 I can only say thank you very much for the amazing restoration that you made in my Mercedes 1960 300SL. I'm really more than happy! "World class work done by world class people. Perfection in craftsmanship and originality, coupled with honesty and integrity. They are simply the best!!" "Hjeltness is reproducing the past, a long drive makes one quite familiar with yesterday." Beauty and function held to the same standard.